You don’t have to be rich to fly but it doesn’t hurt to have bundles of cash if you’d like to travel in a style that’s hard to imagine. Well, I can imagine it pretty easily when making the 21 hour trip to Singapore. Despite an economy that’s still rising from the ashes, there are still a small number of folks who are able to spend money like drunken sailors on private air travel. The super luxury segment is all but impervious to economic woes and public relations gaffes. During the recent 2010 European Business aviation Exhibition, jet service provider Comlux announced it was adding six more 767’s to the fleet to “better serve our Head of State and Royal Families customers”. This seems especially appealing if you’ve ever been in a middle seat with passengers on either side that require seat belt extenders in order to buckle up. I’ve even had an elderly lady fall asleep on my shoulder which was plenty awkward. 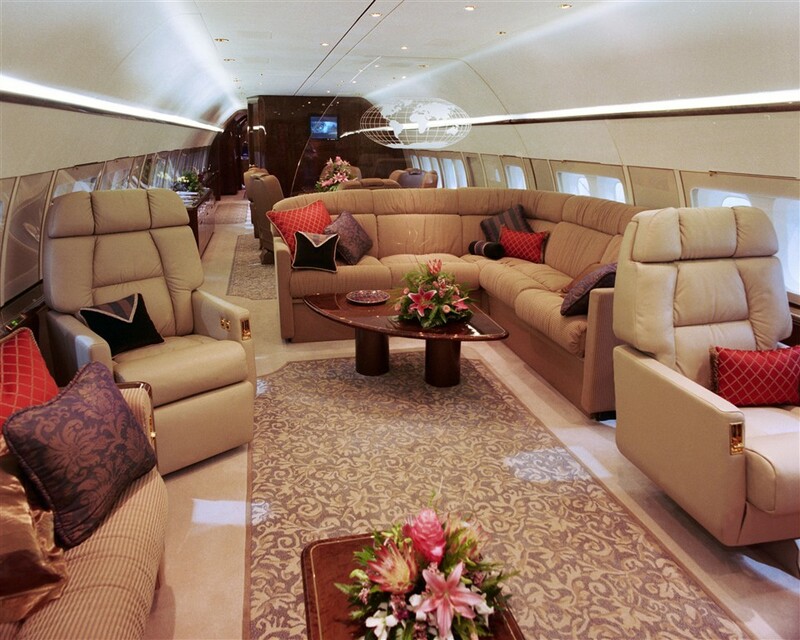 Say goodbye to all that since luxury air travel enables you to get a whole couch to yourself. For those who are determined to spend even more money there’s the Supersonic Bizjet. An idea whose time may never come. One such start up company, Aerion, is still in search of an established manufacturer to fund, develop, certify and produce it. The concept was launched in 2004. They’ve received orders for 50 of the $80 million aircraft, priced in 2007 dollars, each backed by a $250,000 refundable deposit, but have been unsuccessful in enticing any OEM to become a partner in the “first mover” project. 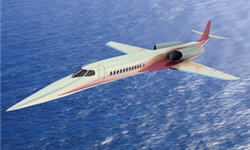 If and when that occurs, Aerion managers say it will take a minimum of 6.5 years and $3 billion to bring it to market. Six years later and no manufacturer will touch this with a ten foot pole. Why? Because it’s the same as dumping truckloads of money into a gigantic parking lot and setting a match to it. Perhaps they didn’t pay attention to the economics of the Concorde which later burned up money by the plane load. (To be fair, British Airways did make money initially). Ultimately, it wasn’t economically feasible for a larger group of passengers. Why would this concept be viable for only a half-dozen people on a flight? (Even if you do have truckloads of money to burn). Oh, and there’s that little problem of a sonic boom which relegates this to oceanic flights. It’s an idea that’s likely to be grounded for years to come. This entry was posted in Commercial Aviation, General Aviation, Technology. Bookmark the permalink.